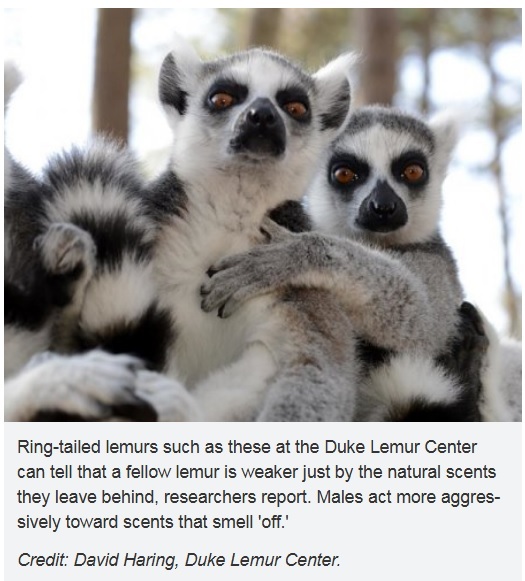 Lemurs can sniff out weakness: New study – FIREPAW, Inc. While some humans watch for signs of weakness in others, especially in competitive environments, lemurs can actually smell it out, according to the findings of a new study. Read the user-friendly overview of the study here.